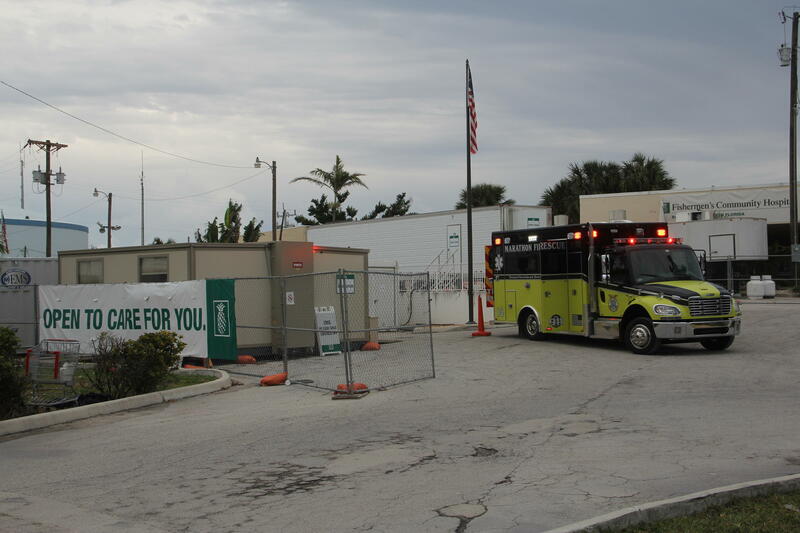 The 'field hospital' in the parking lot at Fishermen's Hospital in Marathon is essentially an emergency room, with a few other services. And the the road to a return of a full hospital for the Middle Keys is looking long – and expensive. 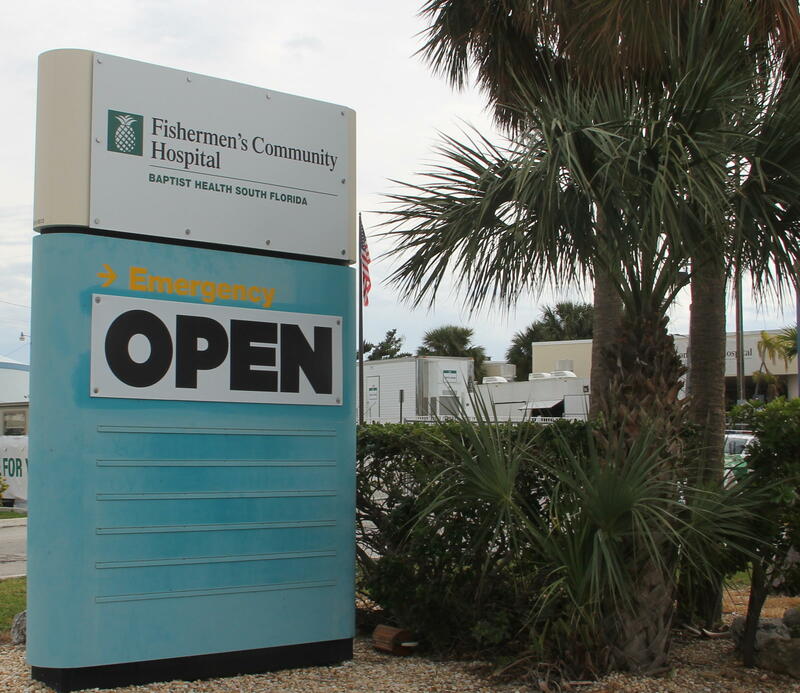 "It’s the first time that Baptist Health has ever actually closed a hospital for a hurricane," said Rick Freeburg, the chief executive officer of Fishermen's Hospital in Marathon. He’s been with Baptist Health South Florida for 30 years and been through other storms, including Hurricane Andrew. "You feel like the captain walking away from a ship that’s sinking and [I] didn’t like it," he said. "But mandatory evacuation means mandatory evacuation." So he evacuated. When the road re-opened and he was able to return, he checked on the condition of the two hospitals in the Keys that he runs, Mariners Hospital in Tavernier and Fishermen's. He said when he first saw Fishermen's, he was actually kind of disappointed. "When I saw that the building looked pretty much the same, just externally, driving up, I was hoping it had been maybe damaged a little more than what it appeared to be," he said. Baptist has signed a contract to bring a modular hospital in to replace the temporary field hospital now operating in the Fishermen's parking lot. That sounds kind of odd coming from the hospital’s CEO. But Freeburg had only been in that position for Fishermen's just over two months. Baptist took over Fishermen's in July. He already knew Fishermen’s needed a major overhaul. His disappointment didn’t last though. "Once we got inside, there was a whole lot more damage than you could see from looking at it from the outside," he said. The whole hospital was soaked. "A lot of roof leaks. Windows that were not properly sealed had leaks and we think - it’s hard to tell, with the water surge, how much of that was because it was wet throughout. We didn’t know whether it had come up through the bottom or off the top," he said. Fishermen’s came back two weeks after Irma, but not in the building that first opened in 1962. There’s a “temporary field hospital” in the parking lot now. It’s basically an emergency room with a few other services available. "We’re saving lives," Freeburg said. "We’re seeing between 30, maybe 40 patients a day." People who need longer term care are either taken to Mariners Hospital in the Upper Keys, which is also run by Baptist, or a Baptist hospital on the mainland in Miami-Dade County. 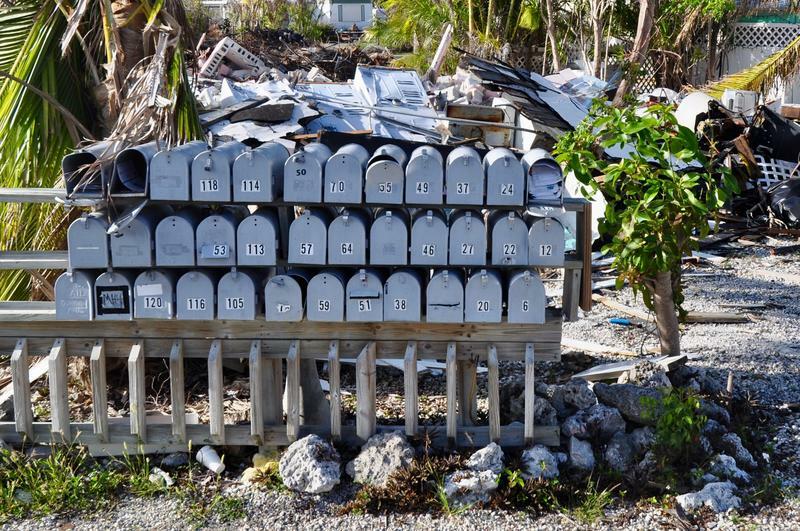 Only about 10,000 people live in the Middle Keys, a community too small to justify its own hospital in most places. But without Fishermen's, Keys geography means it’s an hourlong drive in either direction to the closest emergency room. Bruce Schmitt moved to the Middle Keys with his family when he was a kid in the 1950s, and eventually he served on the board of Fishermen’s. In the 1950s, community leaders and business boosters in Marathon started talking about building a hospital, envisioning that the area would develop more than it did — and seeing the need for nearby medical care. "We had an airport. We had an elementary school, had a high school, had a country club," Schmitt said. "But we did not have a hospital." The community got federal funding but had to match it with local dollars. "Every business had a little jar for donations. There were kids going door-to-door collecting money. I remember doing that myself, actually," Schmitt said. "There was a billboard on the side of the road with a big thermometer so you’d drive by the billboard where the hospital is today, you could see where the level of funds were." Rebuilding Fishermen’s after Irma is going to take a bigger thermometer. Freeburg — the CEO — says the estimates range from $25 million if they renovate the old building to $40 million for a whole new facility. Many people in Marathon are especially grateful that the merger with Baptist Health System went through when it did. "I feel for Baptist," said Sara Matthis, editor of the Keys Weekly newspapers, based in Marathon. "They bought a hospital that, six or eight weeks later, didn't work any more. And that's a bad position to be in." Matthis has lived in the Middle Keys for 25 years. She's twice had reason to use Fishermen's Hospital, the first time when her daughter fell and gashed her head, the second when Matthis herself was bitten by a poisonous snake. Matthis says having a hospital in Marathon is crucial for emergency medical care – and to have an option for people to be near friends and family when they’re sick. "That's not only bringing you flowers but also making sure that your medical case is being managed well —without the added burden of finding a hotel room in Miami to stay overnight and be able to be at the hospital bedside of a loved one," she said. Matthis said the hospital is also important economically. "It’s the source of good jobs," she said. "The majority of the jobs in the Keys are all tourism-related. And those don’t always mean high-paying jobs, unless you are a business owner." There were about 200 people employed by the hospital and affiliated Baptist medical offices in the Marathon area before Irma. Freeburg says now that’s down to 100-125. Bruce Schmitt hopes once there’s a full hospital in town again, that people will rely on it for more than just for emergency care — instead of going out of town for routine care. "I hope people will stop doing that," he said. "I hope they will understand that they have, with Fishermen’s Hospital through its Baptist affiliation, that they can come in to Fishermen’s Hospital, get the basic care they need and if the hospital can’t provide that to them. Baptist has the resources. So you need to support our local hospital." Baptist is waiting for information from insurers and FEMA before deciding whether to renovate the old hospital or build a new one. In the meantime, it has signed a contract to move modular hospital units to the Middle Keys that will provide more local services than the current field hospital. 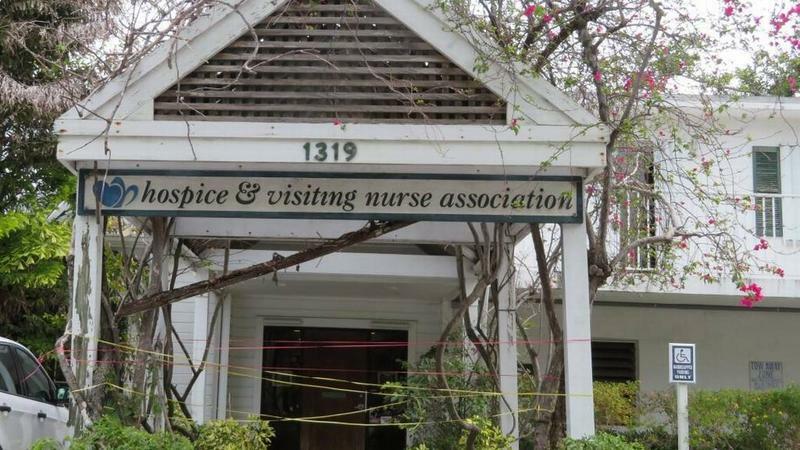 The only organization providing hospice care in the Lower Keys is closing. On an unseasonably cool day in the Florida Keys, a manatee drifted through a canal, stopping occasionally to graze on an algae-slimed recreational vehicle that just barely crested the water’s surface. That sunken RV is just one of 16 swept from the adjacent streets by Hurricane Irma in September. 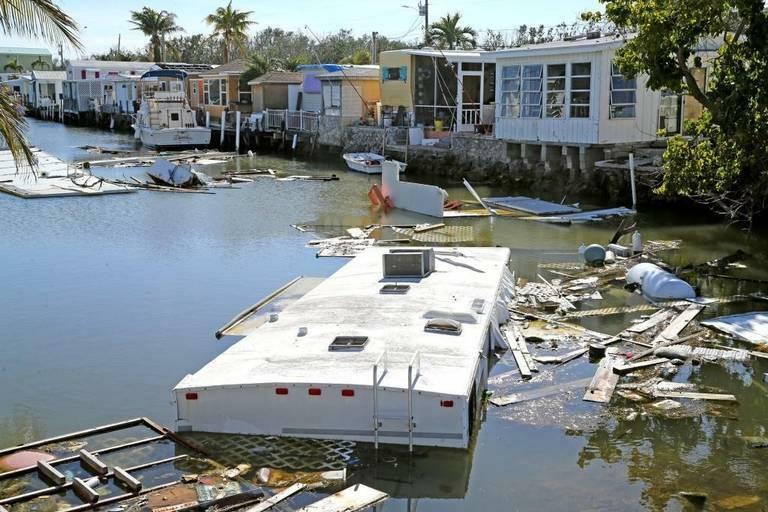 This 18-foot deep canal — filled with more wrecked homes than bobbing boats — is just one of hundreds in the island chain still clogged with storm trash. But a canal clean-up in the Keys could finally be near. 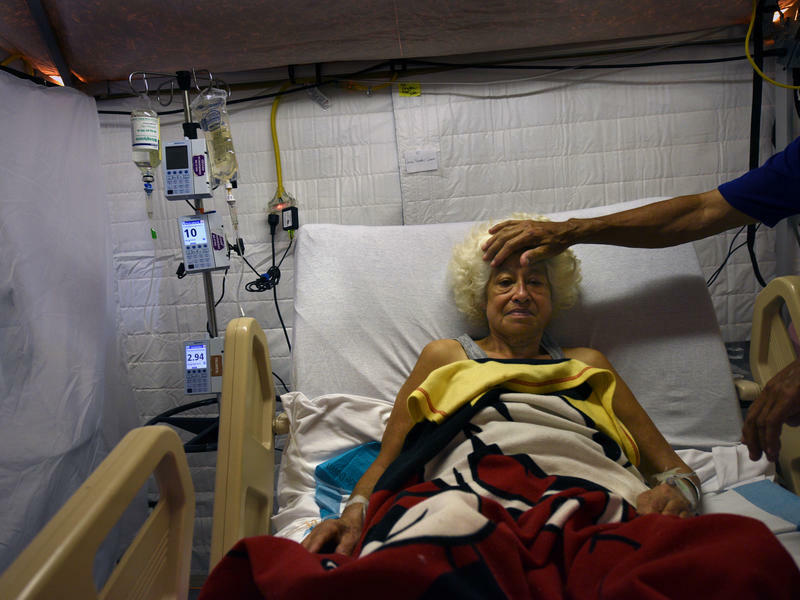 Every day across Puerto Rico, with its shattered power grid, hospitals are waging a life-and-death battle to keep their patients from getting sicker in the tropical heat. Now two weeks after the storm, about three-quarters of Puerto Rico's hospitals remain on emergency power. This creates dangerous conditions for critically ill patients.